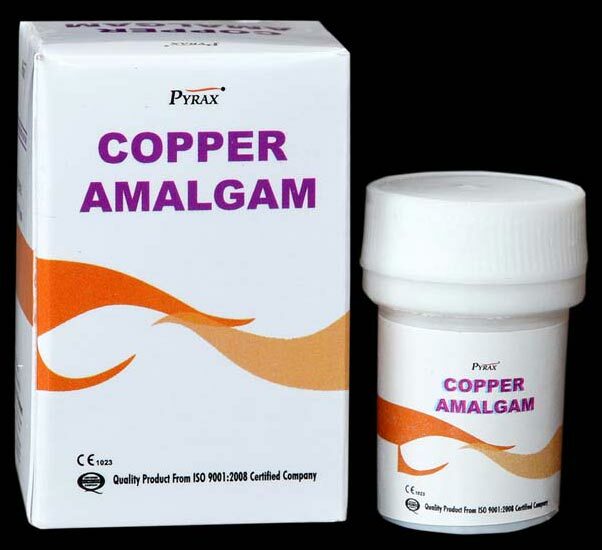 Copper Amalgam provides permanent restorations of class III, class V and small class fillings. We use Zinc free material to manufacture Copper Amalgam. Copper Amalgam has an exceptional compressive strength. Available in round pellet form, Copper Amalgam is easy to heat & manipulate before filling. Even, it doesn’t get black after filling.